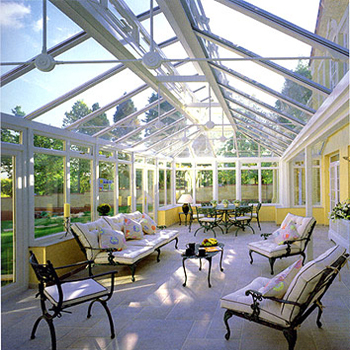 For larger properties, whether period or modern a lantern conservatory is the one to consider. Seen at stately homes the lantern conservatory style was the original style, when they were known generically as orangeries. For those with the right budget, a lantern conservatory style makes a fantastic statement of grandeur and majestic elegance which will impress your friends and neighbours. 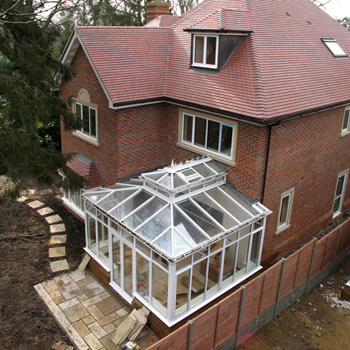 Lantern conservatories feature a two-tier conservatory roof on different levels, creating a ‘wedding-cake’ effect. The two levels are separated by a row of windows. These windows would have to open electronically due to their height or remain fixed. 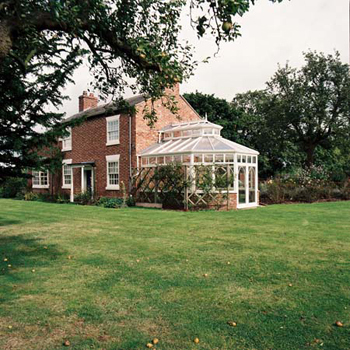 Being highly stylish makes this conservatory ideal for period properties of Victorian and Edwardian eras, where relatively plain conservatories might not match the grandeur of the existing building. 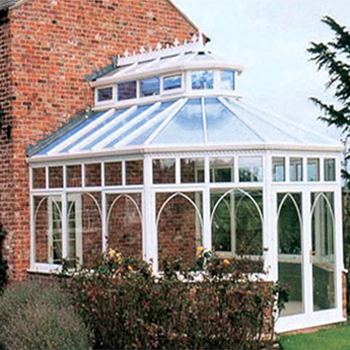 With lantern conservatories, the overall impression is of height, light and grandeur. 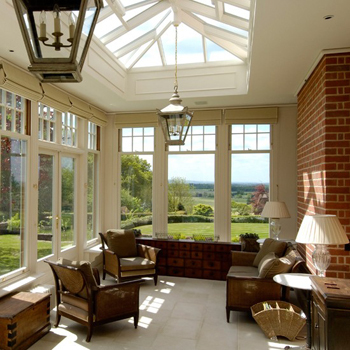 A lantern conservatory is spacious and offers an uninterrupted view of the sky. With a two-tiered roofing structure, you get to use more windows, which means that more ventilation is available. This feature of lantern conservatories is especially useful where the conservatory faces south or where condensation might pose a problem. 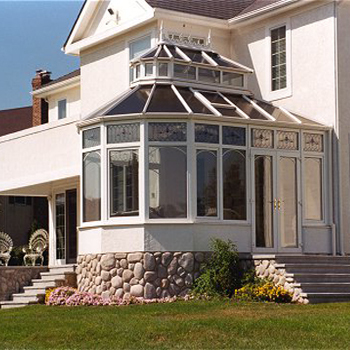 When considering a lantern conservatory, your options included adding coloured or stained glass in the vertical panels. This enhances the Victorian or Edwardian period effect.